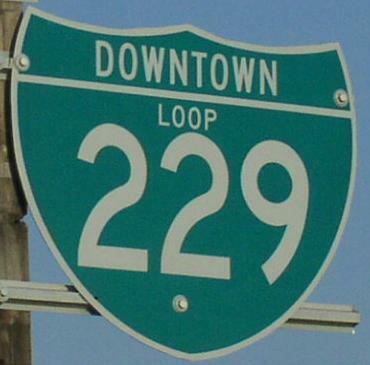 Downtown Loop Interstate 229 runs through Sioux Falls. 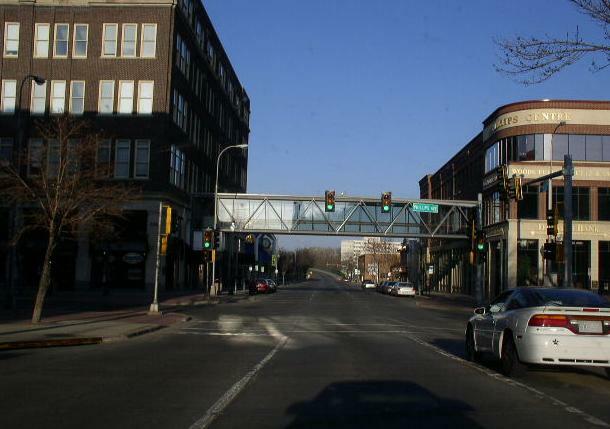 This runs along 10th and 11th Street and Minnesota Avenue. It was rumored that this was decommisioned. As of April, 2004 this highway was fully signed. 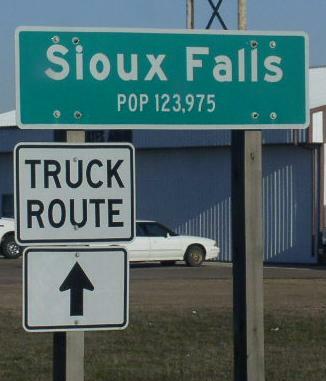 Like Downtown Spur Interstate 29 and Downtown Spur Interstate 90 this was changed from a "Business Loop" to a "Downtown Loop". 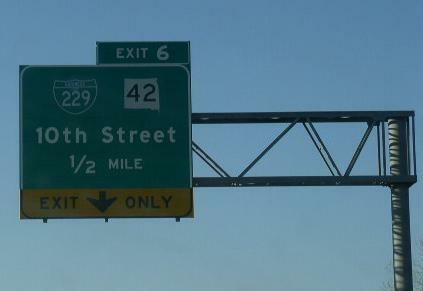 DWTN Loop I-229 passes though the following town in Minnehaha County. DWTN Loop I-229 is multi-plexed in Minnehaha County. 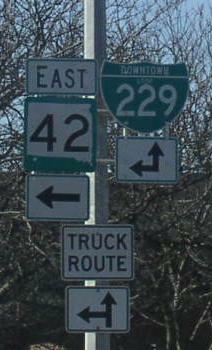 DWTN Loop I-229 intersects the following highways in Minnehaha County. 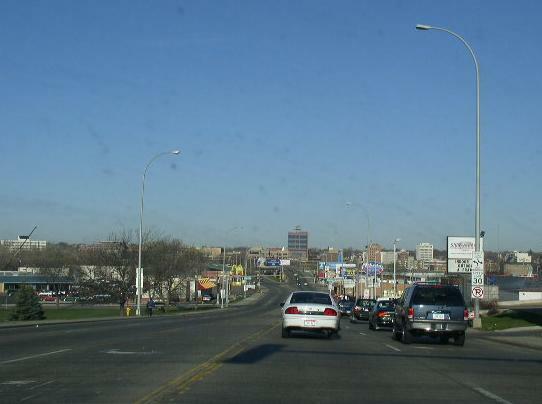 Downtown Spur I-29, at Sioux Falls. DWTN Loop I-229 on 10th & 11th Street; from Minnesota Ave. to I-229. 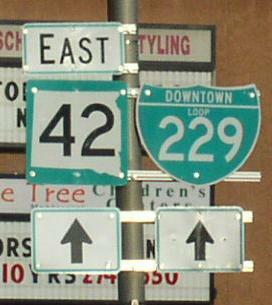 EB DWTN Loop I-229/SD St Rt 42 in Downtown Sioux Falls on 11th Street. 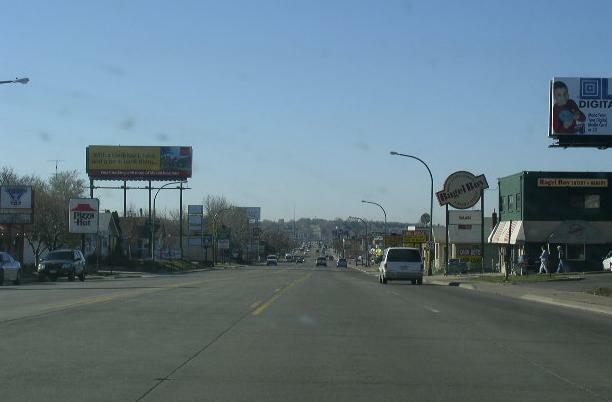 Overhead signs on 2nd Avenue in Downtown Sioux Falls. 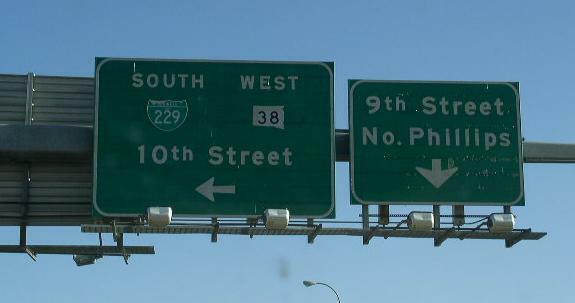 NOTE: How SD DOT missed to cover the SD St Rt 38 shield. 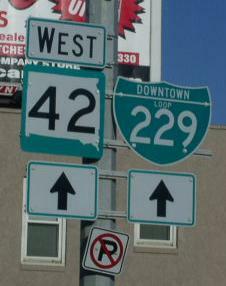 WB DWTN Loop I-229/SD St Rt 42 east of Downtown Sioux Falls. 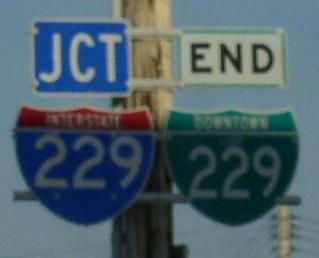 The eastern end marker at I-229 on SD St Rt 42. A BGS on SB I-229. 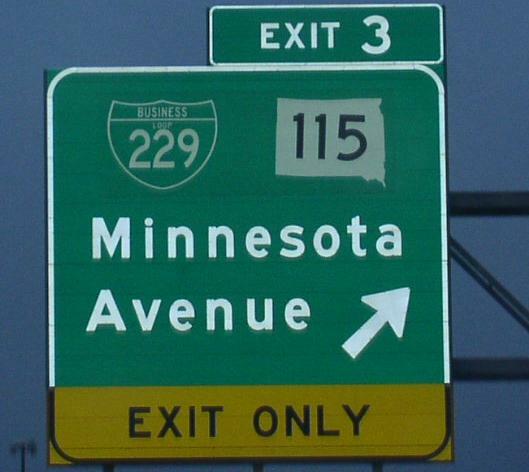 DWTN Loop I-229 on Minnesota Avenue; from 10th & 11th Street to I-229. 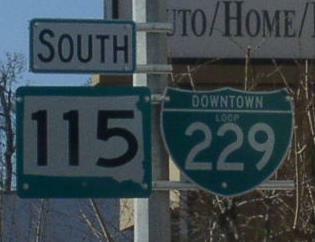 Guide markers on SB SD St Rt 115. SB DWTN Loop I-229/SD St Rt 115 south of Downtown Sioux Falls. 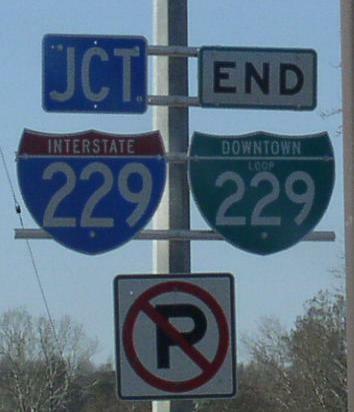 A BGS on NB I-229. NOTE: The shield is still a "Business Loop" shield.